In order to access the free version of ezTaxReturn, users will need to first start at the Free File page on the IRS Web site, and then click through to the ezTaxReturn Web site. Includes helpful explanations by clicking on a hyperlinked phrase and an explanation will pop up in a separate window. The explanations are succinct, but may not include all the relevant criteria for determining if you qualify. ezTaxReturn does not have a clickable navigation interface enabling you to return to a particular data entry place. That means if you want to make changes or review entries, you will need to navigate using the Back and Continue links. We found ezTaxReturn pretty easy to use and quick. The user interface is clean and easy to understand. We were able to finish our sample tax return in less than half an hour. ezTaxReturn's clean interface helped keep me working through all the data entry with a minimum of confusion. 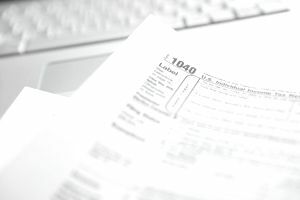 One drawback is that we was not able to download a PDF copy of the tax return we prepared to review prior to submitting the return for electronically filing. However, the summary of tax calculations presented on the computer screen did correspond to my own calculations that we had prepared beforehand. Lives in one of the following states: AL, AR, AZ, CA, GA, IL, LA, MA, MI, MS, NC, NJ, NY, OH, PA, VA, or WI. ezTaxReturn supports preparation for the following state tax returns at an additional cost of $19.95 for AL, AR, AZ, CA, GA, IL, LA, MA, MI, MS, NC, NJ, NY, OH, PA, VA, or WI. If you do not meet the criteria for Free File, ezTaxReturn costs $29.95 for a federal return, $19.95 for a state tax return, or $39.95 for a combined federal and state return. Overall, ezTaxReturn's clean, simple interface makes it easy for individuals to prepare a relatively straightforward tax return quickly and accurately. Recommended.